Thanks in large part to the steady demand from international buyers, the Miami housing market has bounced back strong in recent years. Buyers from foreign lands accounted for three of every seven home sales during the 12 months ended in September 2014, according to the National Association of Realtors (NAR), a proportion that has varied little over the past four years. Latin American buyers flock to Miami in good times and bad, according to Lawrence Yun, NAR’s chief economist. 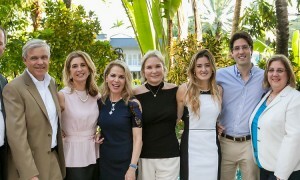 “With everything that’s going on in the rest of the world, the United States is the best place to buy,” said Jill Eber, who, along with her partner Jill Hertzberg, are the top Coldwell Banker Residential Real Estate team in South Florida. But why is Miami in particular so attractive to Latin buyers? There are several reasons, according to Eber. For one, it’s a world-class city with great weather. It also has excellent recreational, cultural, and professional sports facilities. Plus, it’s the nearest major U.S. city to most of Latin America, which helped establish it as the major commercial center for companies doing business there. That proximity also makes it a vacation and shopping destination and Latin Americans who travel there find a warm welcome from countrymen already settled in the area. And they can enjoy the rich Spanish-accented scene with many restaurants, clubs, and arts centers catering to them. Latin Americans have contributed to the revitalization of neighborhoods, especially the core business district of Miami, according to Eber. “Downtown is becoming a city unto itself,” she said. Smart Miami-based agents cultivate this clientele. Not only do Latin Americans command a large share of the market, they also spend more than other buyers, a median of $444,000 for a Miami-Dade home in 2014, according to NAR, nearly double the overall median price of $245,000. Eber said Coldwell Banker agents have the advantage of an international company presence. 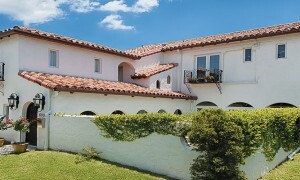 Many Latin clients have already done business with Coldwell Banker back in their home countries. Even if they haven’t, they recognize the brand. Many Coldwell Banker agents get referrals from company offices overseas. The Jills have racked up nearly $2.5 billion in sales over the past two decades and they get a steady stream of new business from client recommendations. But they haven’t neglected new sources of sales; they’ve invested in technology and social media to keep up their exposure to Latin buyers who feel increasingly comfortable starting their home buying searches online. All in all, it’s a prescription for success and one that’s bound to continue as foreign buyers succumb to the charms of Miami, the gateway city to the United States for most Latin Americans. The 2016 Coldwell Banker Generation Blue Miami Experience kicked off on Miami Beach, bringing together real estate top producers from all over the world.